Casey has been working with us since November 2013. 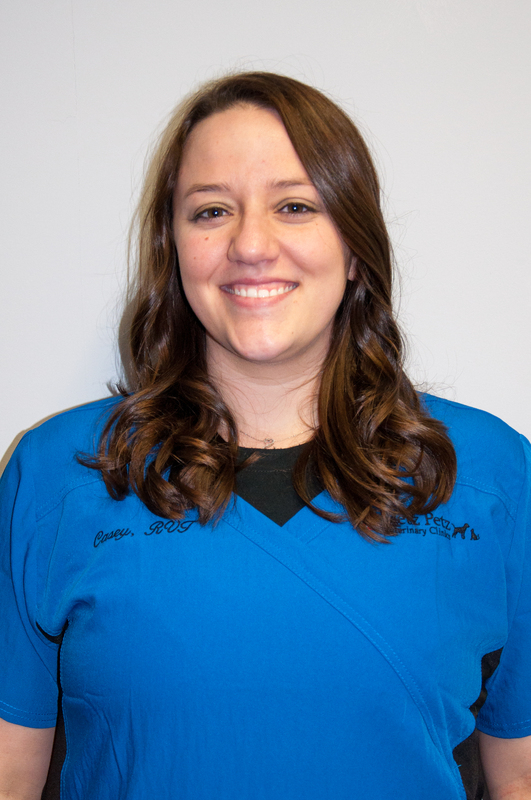 She graduated from The Ohio State University with a Bachelor's degree in Animal Sciences and from Columbus State Community College with an Associate's degree in Veterinary Technology. She has a 2 year old Corgi Mix named Dezzi who is "The Boss Lady" of the house, and two cats: Wrigley a 2 year old DSH who thinks he is the king of the castle and loves to get into mischief, and Derby a 1 year old DSH tri-pod who is the quiet/ shy one of the house. Outside of work Casey enjoys reading, watching movies, photography, coaching softball and spending time with friends and family. Her favorite animal is the horse because the are so powerful, yet gentle creatures that have lots of personality. Presley joined the team in February of 2017 as one of our Technician's. 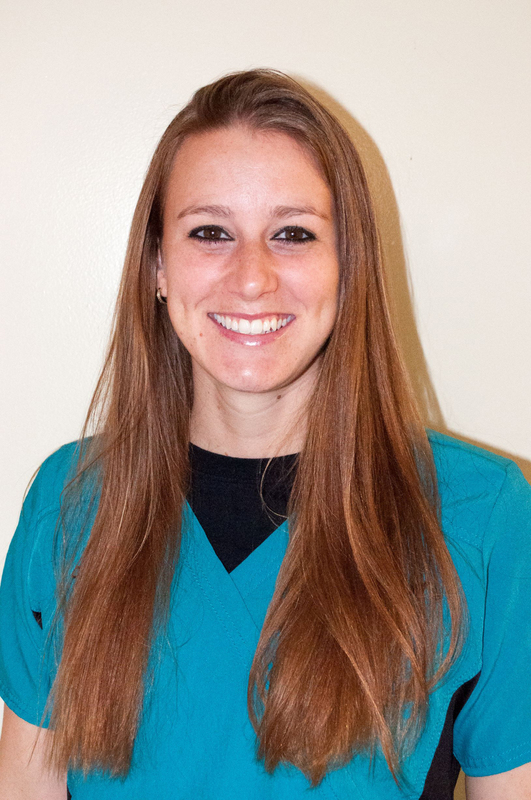 She has an Associate of Applied Science in Veterinary Technology from Brown Mackie College. She and her husband Derek have two dogs: Merle a Bloodhound, and Huck a Labrador Retriever, as well as three cats: Brooks and Zoey, both DSH's, and Keanu a Siamese. In her spare time she enjoys spending time outdoors with her furbabies, walks at the dog park, biking, and canoeing. 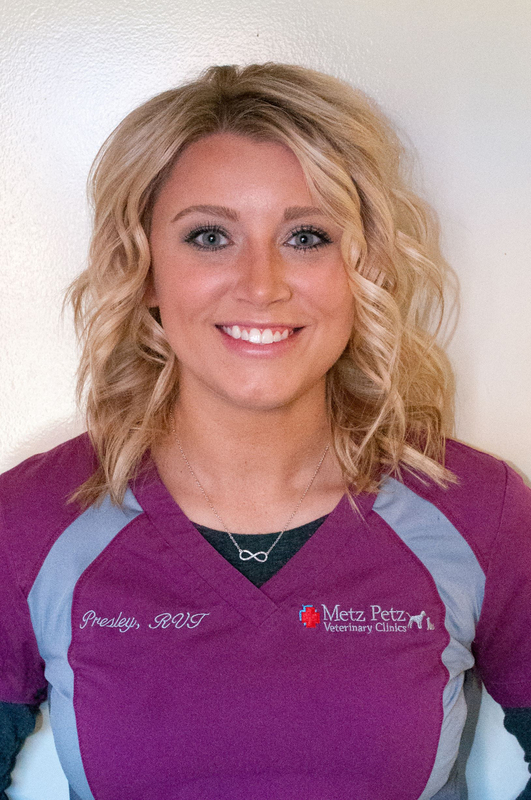 Her favorite part of working at Metz Petz is caring for hospitalized patients, surgery, and working with an awesome team. Emily started working with us in September 2014. 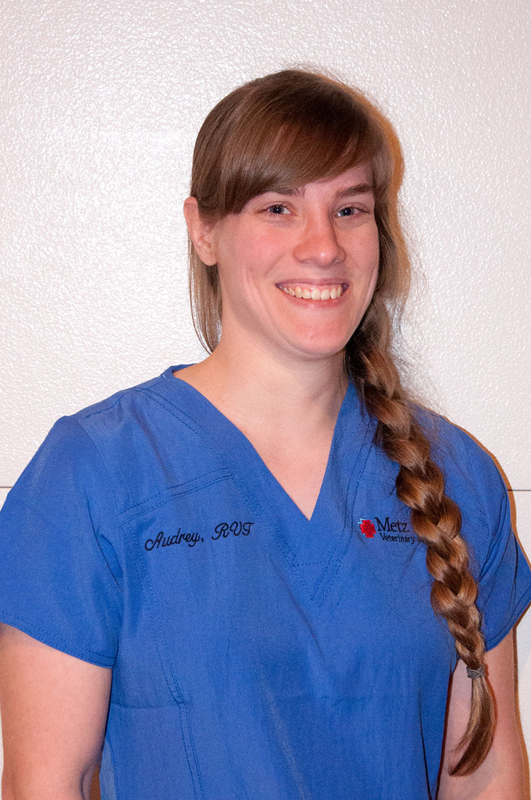 She graduated from Brown Mackie College with an Associate's degree in Veterinary Technology. She also has an Associate's degree in Computer Programming. Her hobbies include: crafting, rock concerts, reading and going to nerdy events like comic-con! Emily and her husband have 2 ornery cats: Zelda, a 10 year old DSH princess and Lily, a 5 year old DSH intellectually challenged pretty girl. They also have a mixed breed dog named Sammy who is a sweet, smart, VERY happy (hyper) boy. At work, she loves getting to meet all the different pets and their owners. Audrey joined us in December of 2016. She graduated from Miami Jacobs Career College with an Associate of Applied Science in Veterinary Technology. Audrey has a 6 year old Jack Russell named Frodo who enjoys running laps in the house and three DSH cats: Jack, Tiny, and Precious. She enjoys reading books, cooking, and crocheting. 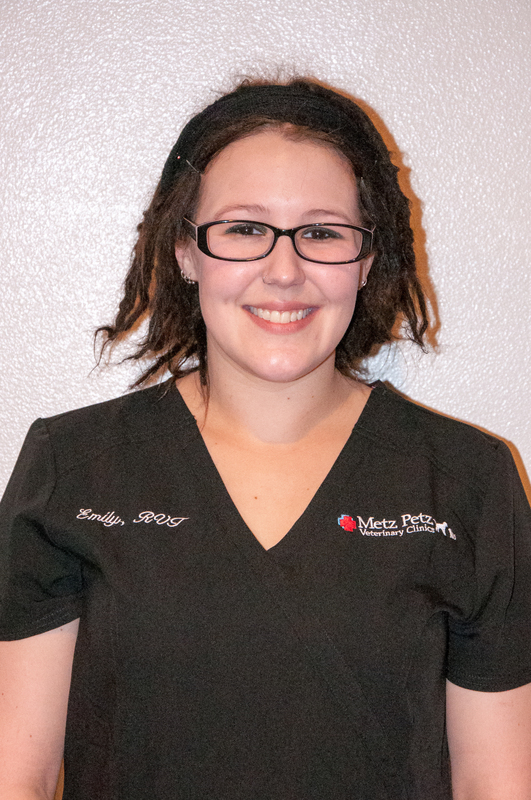 Her favorite part of working at Metz Petz is looking after all the patients. Her favorite animals to work with are Greyhounds because they loved to be loved on. Amelinda became a part of the Metz crew in October of 2017. She is our "go- betweener" assistant. She can be seen in the back helping the veterinarians or up front as a receptionist at both clinics. She has always had a passion for animals and knew she would end up working with them. "It feels good helping animals and educating owners how to help keep their pets as healthy and happy as possible." Amelinda graduated with an Associates degree in Natural and Historical Interpretation. She and her partner Chloe have a 5 month old Weimaraner named Zara who is a goofy, happy derp of a dog and three cats: Achilles a 4 year old DSH who spend his days glaring at passerby's, Apollo a 3 year old DSH who keeps the food bowls safe by patrolling them at all hours, and Myrtle a 1 year old DSH who wants to snuggle under the blankets most of the time. Amelinda loves to spend time outside, making people smile and laugh and enjoys playing the guitar.